What is it? 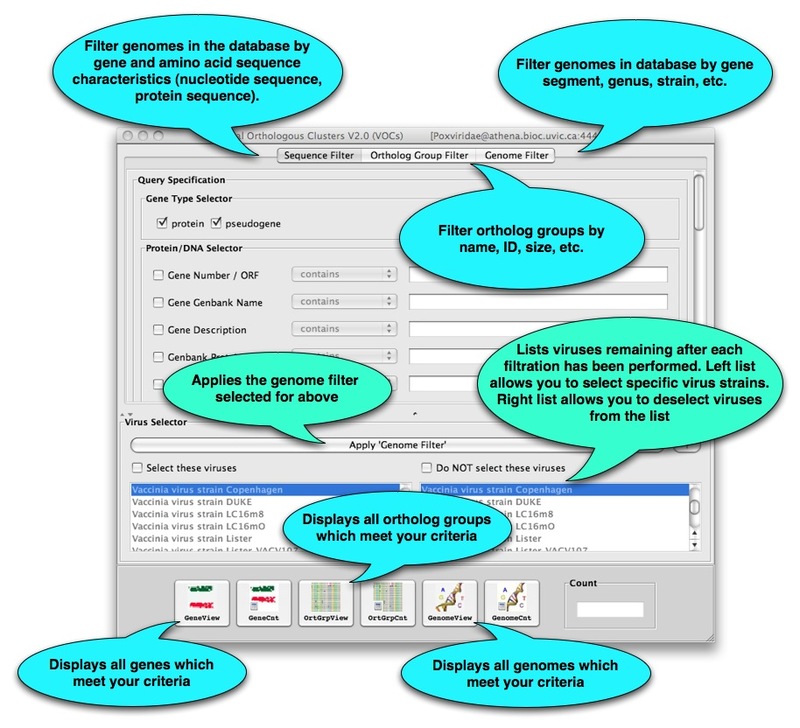 VOCs (Viral Orthologous Clusters) is our Graphical User Interface for accessing and searching the VBRC viral databases, containing data from 12 virus families. Select VOCs from the VBRC Tools drop-down menu (top left of page). Click the Launch Program button. VOCs will be downloaded to your computer and Java Web Start will automatically start the program. Choose the database of interest from the list that appears. Click here to go directly to the VOCs page. What next? The main VOCs window shown below will open. 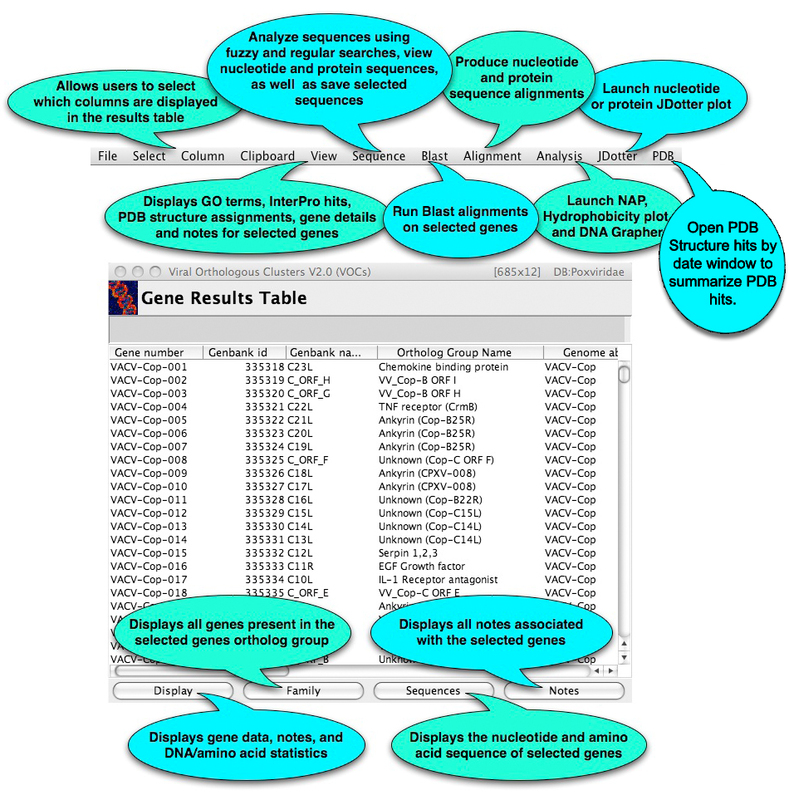 From here you can search the VOCs database that you selected and open various whole-genome analysis tools. Examples: Here are some examples of tasks that VOCs can be used for (and the time required).